HONG KONG, Aug. 29, 2014 /PRNewswire/ — JNA (Jewellery News Asia), organiser of the JNA Awards, is pleased to announce that Ahmed Bin Sulayem, Executive Chairman of DMCC (Dubai Multi Commodities Centre), is the recipient of the 2014 Outstanding Contribution Award. Bin Sulayem, the second individual to be receiving this annual accolade, will be honoured at the JNA Awards Ceremony and Gala Dinner on 16 September at the InterContinental Hong Kong. The much-anticipated awards event, the culmination of a year-long process, will be held alongside the world’s No. 1 fine jewellery event, the September Hong Kong Jewellery & Gem Fair. Bin Sulayem’s accomplishments have had an extraordinarily positive and enduring impact, not only on DMCC and Dubai, but on the global gemstone and jewellery industry, according to Letitia Chow, Chair of the JNA Awards judging panel. Chow added, “Under Ahmed Bin Sulayem’s leadership, DMCC has enhanced the flow of diamonds, precious metals, pearls and other commodities through Dubai – one of the world’s leading trade hubs. His vision and boldness in executing his role at DMCC has led to the expansion of the global commodities sector. Bin Sulayem continued, “Today’s gold trade through Dubai has grown from US$6 billion in 2003 to US$75 billion in 2013. The diamond industry has equally grown to some US$39 billion, and Dubai today is ranked among the world’s top three marketplaces for rough and polished diamonds. We are proud to have achieved this in just 10 short years. Bin Sulayem joined DMCC in 2001 and has since introduced revolutionary infrastructure such as Almas Tower, the tallest commercial tower in the Middle East purpose-built for the diamond trade; and a number of successful products and services, including the establishment of the DMCC Free Zone, the Dubai Gold and Commodities Exchange (DGCX) the Dubai Diamond Exchange (DDE), and other services such as gold refineries, gold and diamond vaults, and the UAE Gold Bullion Coins which were designed to celebrate the accomplishments and vision of the UAE’s leaders. Bin Sulayem has also played a leading role in reviving Dubai’s traditional pearling industry by launching the Dubai Pearl Exchange in 2007. In just over a decade, DMCC has enabled the flow of trade through Dubai to grow immensely while positioning its free zone as the global gateway for commodities trade and enterprise. Now in its third year, the JNA Awards is an industry-wide event that honours and recognises excellence and achievement in the global jewellery trade with an Asian focus. In 2013, it conferred the Outstanding Contribution of the Year Award to celebrated jewellery master and sculptor Wallace Chan, who has made a significant impact on the global haute joaillerie scene following his spectacular debut at the Biennale des Antiquaires in Paris in 2012. For the Awards’ 2014 edition, a total of 29 companies and six individuals from 11 countries and regions have been shortlisted across 16 categories. The event has received an overwhelming response in attendance to the night of the awards ceremony and gala dinner. For more information on the event and past award recipients, please visit www.JNAawards.com. JNA is the flagship magazine of UBM Asia’s Jewellery Group. First published in 1983, the title is the leader in providing up-to-date international jewellery trade news with an Asian insight. It features original, in-depth reports by experienced journalists covering the latest developments in the diamond, pearl, gemstone, jewellery manufacturing, and equipment and supplies sectors. Rio Tinto operates a fully integrated diamonds business from exploration through to sales and marketing. It is one of the world’s major diamond producers through its 100 percent control of the Argyle mine in Australia, 60 percent interest in Diavik mine in Canada, 78 percent interest in the Murowa mine in Zimbabwe and 100 percent interest in the Bunder project in India. Rio Tinto’s share of the production from its three operating diamond mines is sold through its sales and marketing office in Antwerp, with representative offices in Mumbai, Hong Kong and New York. It also operates a niche cutting and polishing factory in Perth for the rare pink diamonds from its Argyle mine. Rio Tinto is a leading supporter of the Kimberley Process, as well as a founding member of the Responsible Jewellery Council. Chow Tai Fook Jewellery Group Ltd, a leading jeweller in Mainland China, Hong Kong and Macau, was listed on the Main Board of The Stock Exchange of Hong Kong in December 2011 and has become the world’s largest pure-play jeweller by market capitalisation. Chow Tai Fook is now a constituent stock of the Hang Seng China 50 Index and the Hang Seng Mainland 100 Index. Its principal products are mass luxury jewellery and high-end luxury jewellery products including gem-set jewellery, gold products, platinum and karat gold product, and watches. The Group’s iconic brand “Chow Tai Fook” and 85 years of operations represent key competitive advantages of its business. The Chow Tai Fook brand is recognised for its trustworthiness and authenticity, and renowned for its product design, quality and value. The Group has an extensive retail network, with over 2,100 points of sale in more than 470 cities in Greater China, Singapore and Malaysia. It also has a growing presence in e-commerce. The Group’s vertically integrated business model provides an effective and tight control over the entire operation chain from raw material procurement, design, production, to marketing and sales through its extensive retail network. Since 1854, the name Gubelin has stood for the very highest standards in gemstones, jewellery and watches. With its selection of the most sought-after timepieces and jewellery of its own design, the family-run business is represented at all the prime locations in Switzerland: Lucerne, Zurich, Basel, Bern, St. Moritz, Lugano and Geneva. Last November, Gubelin Jewellery established its presence in Hong Kong. Besides the jewellery boutiques and the Gubelin Ateliers, the group has a newly-established Academy and a world-renowned Gemmological Laboratory. The Gubelin Gem Lab is one of the oldest and most respected institutions of its kind, relied on by dealers, auction houses, royal families and collectors since the 1920s. With over four decades of experience and expertise in the diamond trade, KARP caters to international luxury brands. Apart from being a DTC Sightholder, the group is recognised as an “institution” in the industry, using the most technologically advanced manufacturing systems in the business. KARP manufactures a huge array of products, from 0.005-carat goods to stones weighing 10 carats and above. It excels in the production of certified fine makes, fancy-cut goods and fancy coloured diamonds. The manufacturer is one of the few companies that has achieved up to 5-micron precision in diamond manufacturing. Paspaley Pearling Company is the leading producer of Australian South Sea pearls, supplying strands, loose pearls and mother-of-pearl shells to many of the world’s leading jewellery wholesalers, manufacturers and retailers. The Paspaley family became involved in pearling in the 1920s and is the world’s only South Sea pearl producer with origins in the natural pearl industry. Paspaley Pearling Company Pty Ltd was incorporated in 1953 and built its success and reputation as a pioneer in the cultivation of South Sea pearls. Today, the Company sets the benchmark for modern pearling practices, operating numerous pearl farms dotted along more than 2,500 kilometres of the remote and pristine coastline of north-west Australia. Paspaley’s harvest represents the majority of Australian South Sea pearl production and has a well-deserved reputation for exceptional quality. The Israel Diamond Institute Group of Companies (IDI) is a non-profit, public interest company representing all institutions involved in the Israeli Diamond Industry. Israel is one of the world’s leading diamond centres, and the Israeli diamond industry has an illustrious history dating back to the late 1930s. IDI works for the benefit of Israel’s diamond industry in the areas of marketing and business promotion, international communications, R&D, rough sourcing, professional training, publishing and security consultancy. IDI is responsible for industry participation in major trade fairs around the world, organising Israeli Diamond Pavilions, receptions, press conferences and other events at these fairs. The Guangdong Land Holdings Limited (GDLAND), with its headquarter in Hong Kong, is listed on The Stock Exchange of Hong Kong Limited, and is a subsidiary of GDH Limited, which is Guangdong Province’s largest conglomerate operating outside Mainland China. GDLAND’s flagship project, namely the “Buxin Project”, is planned to become the biggest and most advanced jewellery mart in the world, including a large-scale jewellery trading and exhibition centre along with other facilities, with a lot size of over 87,000 square metres. The Buxin Project, which is located in the Buxin area of Luohu district in Central Shenzhen, close to the Shuibei Gold and Jewellery Base, is expected to develop the area into one of the most influential gold and jewellery trading and exchange platforms in China and around the world. 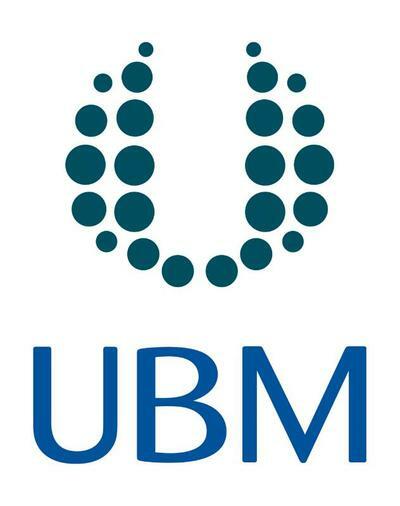 Owned by UBM plc listed on the London Stock Exchange, UBM Asia is Asia’s leading exhibition organiser and the biggest commercial organiser in mainland China, India and Malaysia. Established with its headquarters in Hong Kong and subsidiary companies across Asia and in the US, UBM Asia has a strong global presence in 24 major cities with 30 offices and over 1,300 staff. With a track record spanning over 30 years, UBM Asia operates in 20 market sectors with 160 dynamic face-to-face exhibitions, 75 high-level professional conferences, 28 targeted trade publications, 18 round-the-clock vertical portals and virtual event services for over 1,000,000 quality exhibitors, visitors, conference delegates, advertisers and subscribers from all over the world. We provide a one-stop diversified global service for high-value business matching, quality market news and online trading networks. UBM Asia has extensive office networks in China, Southeast Asia and India, three of the world’s fastest growing B2B events markets. UBM China has 11 offices in the major cities in mainland China, including Beijing, Shanghai, Guangzhou, Hangzhou, Chengdu and Shenzhen, where we organise more than 70 exhibitions and conferences. In ASEAN, UBM Asia operates from its offices in Malaysia, Thailand, Indonesia, Singapore, Vietnam and the Philippines with over 60 events in this region. UBM India teams in Mumbai, New Delhi, Bangalore and Chennai organise 20 exhibitions and 60 conferences every year across the country. Earlier today, the President of the Republic of Mozambique, Armando Guebuza, and the Mozambican Minister of Energy, Salvador Namburete, joined the chairman of the Mozambican state power utility, Electridade de Mozambique (EDM), Augusto Fernando de Sousa and the President and CEO of Sasol, David Constable, at the inauguration of Central Termica de Ressano Garcia (CTRG). The CTRG power plant, which is a partnership between EDM (51%) and Sasol (49%), represents Mozambique’s first permanent large-scale gas-to-power facility in Ressano Garcia, which is on the border between Mozambique and South Africa. Natural gas will be supplied to the new power plant from the Sasol-operated central processing facility (CPF) in Temane in the Inhambane province. Together with its partners, Sasol has expended approximately US$3 billion in capital investments, which include the development and expansion of the CPF and natural gas fields in Southern Mozambique, the construction of a cross-border pipeline, and the completion of the CTRG gas-to-power project. The 175MW gas-fired power plant will supply electricity to more than two million Mozambicans – this equates to 23% of the country’s current demand. The Mozambican economy is one of the fastest growing on the African continent, and is seeing electricity demand increasing by approximately 14% annually. The opening of the CTRG power facility comes as Sasol celebrates its 10th anniversary of developing the Temane and Pande stranded gas fields in Mozambique, through strong in-country partnerships and its technical expertise. The company’s investments over the past decade have contributed to the creation of a favourable investment climate for Mozambique, while establishing an exploration and natural gas production sector in the region. These investments also serve to support economic growth and development in both Mozambique and South Africa. The gas-fired power plant is expected to reach beneficial operation in October this year. Committed to excellence in all we do, Sasol is an international integrated energy and chemical company that leverages the talent and expertise of our more than 33 000 people working in 37 countries. We develop and commercialise technologies, and build and operate world-scale facilities to produce a range of product streams, including liquid fuels, high-value chemicals and low-carbon electricity.